Two former Bihar chief ministers appeared before a special Central Bureau of Investigation court in Ranchi today. 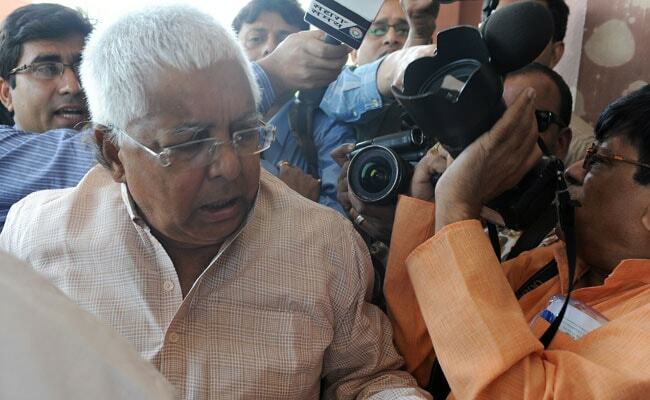 Ranchi: Former Bihar chief ministers Lalu Yadav and Jagannath Mishra and other accused persons today appeared before a special CBI court in Ranchi in connection with the multi-crore fodder scam case. The RJD chief and Jagannath Mishra appeared before the court of Shiv Pal Singh for a case pertaining to the fraudulent withdrawal of Rs 96 lakh from the Deoghar treasury in the 1990s. The court set June 16 as the next date for the hearing. Earlier, in 2013, a special CBI court had convicted Jagannath Mishra, Lalu Yadav and other accused persons in the fodder scam case. Last month, the Supreme Court had ruled that Lalu Prasad will have to stand trial in all the four fodder scam cases setting aside a Jharkhand High Court order that had dropped the conspiracy charges against the former Bihar chief minister.